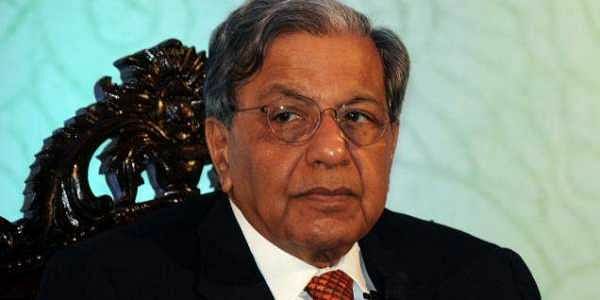 NK Singh, the newly appointed Chairman of the 15th Finance Commission, today said it is imperative for such a panel to examine implications of GST on finance of the Centre and states. NEW DELHI: NK Singh, the newly appointed Chairman of the 15th Finance Commission, today said it is imperative for such a panel to examine implications of GST on finance of the Centre and states. "The fact that GST was propelled through several constitutional amendments which included the states being participants in these constitutional amendments enjoins upon any Finance Commission the need to examine implications of GST in terms of finances of both the Centre and states because this is about the fiscal issue of the general government," he said. Soon after the appointment, he said it comes as no surprise that the Goods and Services Tax (GST) is included in terms of reference. Earlier, the government appointed the former Planning Commission Member as head of the 15th Finance Commission. Other members of the commission, which is required to submit its report by October 2019, are former economic affairs secretary Shaktikanta Das, former chief economic advisor Ashok Lahiri, Niti Aayog Member Ramesh Chand and Georgetown University professor Anoop Singh. The commission will review the current status of the finance, deficit, debt levels, cash balances and fiscal discipline efforts of the Union and the states. It will also recommend a fiscal consolidation road map for sound fiscal management. The new Finance Commission will cover five-year period commencing April 1, 2020. The 14th Finance Commission was set up on January 2, 2013. Its recommendations cover the period from April 1, 2015 to March 31, 2020.